River City Pride was a huge success! Our weekend began with a volunteer training, during which our wonderful team heard a campaign update, learned how to canvass a crowd, and, most importantly, connected with each other in celebration of being a part of the LGBTQA community. We had a stellar time making signs for the parade and practicing our canvassing with each other! 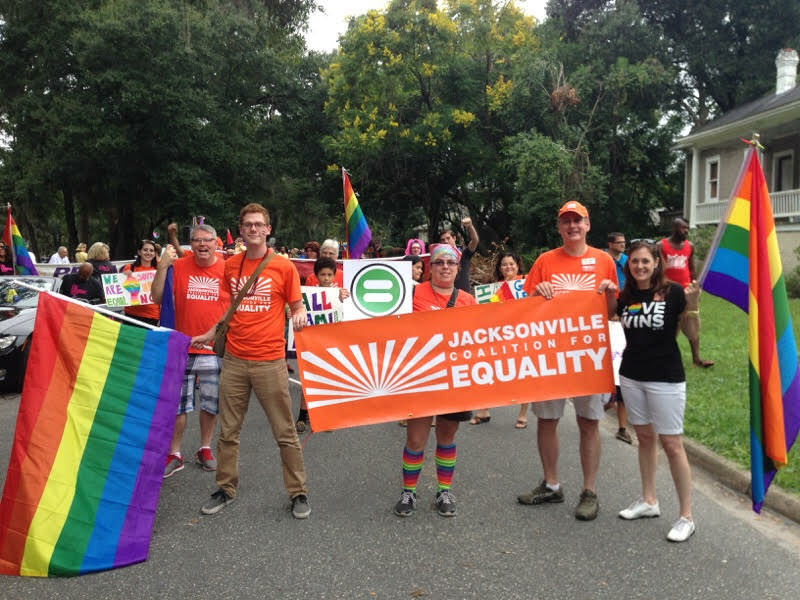 Along with the Jacksonville Coalition for Equality, UNF LGBT Resource Center, JASYMN, PFLAG, UU of Riverside, and HRC, Equality Florida participated in a lively parade Saturday afternoon! Tons of volunteers held signs, handed out candy, and waved to the crowd. Signs read #JaxHRO throughout our group! 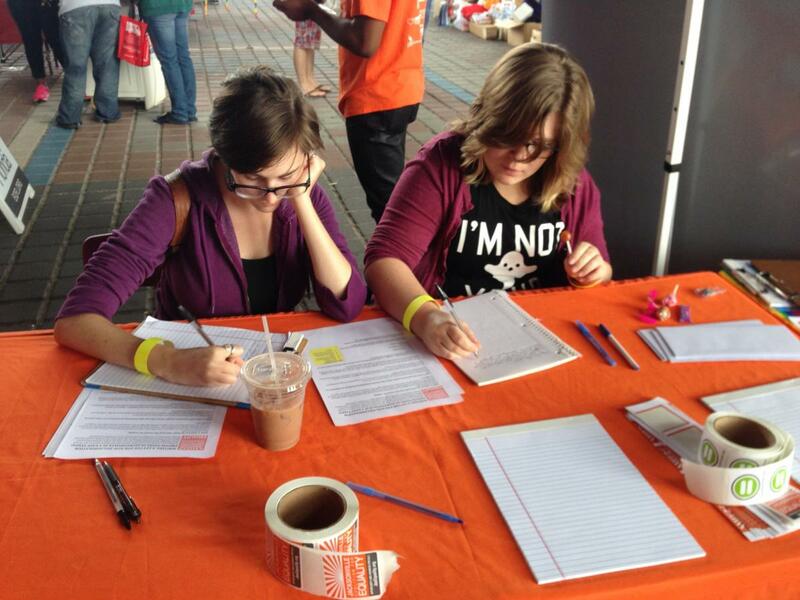 Sunday, during the Pride Festival, our volunteers gathered nearly 2,000 postcards and over 150 handwritten letters to send to the Jacksonville City Council. What did these postcards and letters say? 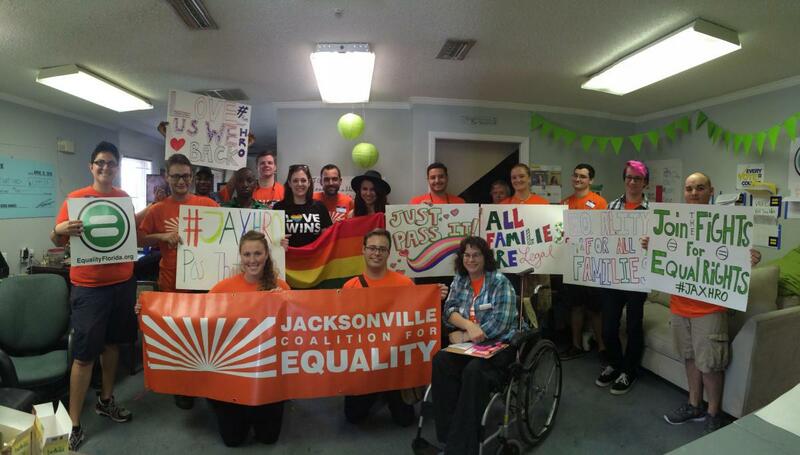 We deserve to be equal, we deserve to earn a living, and we deserve to feel safe in Jacksonville! Everyone who stopped by our booth to share a story: thank you for the bottom of our heart. Handwritten etters are one of the best ways to show the council who we are and why the HRO matters to all of us. Let's pass this HRO, together.